This is a 1961 EK Holden Special. It was the first time the Australian car maker introduced a model with an option for an automatic transmission. Holden is now a subsidiary of US-based General Motors. 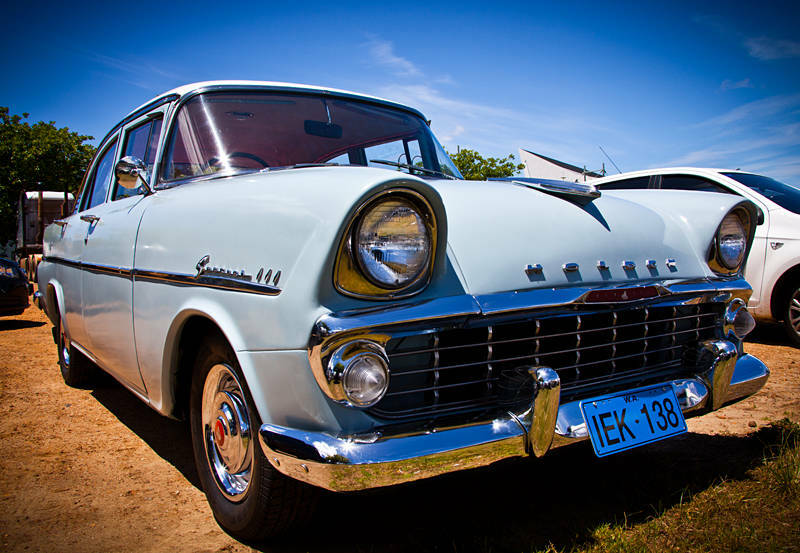 We saw this classic in a car park in Albany, Western Australia. N.B. Thanks to Doug for the auto identification.